"Nothing bad to say about this place. Bottom line"
A diner from Denver, CO tried it, liked it, and rated it . They liked the food, liked the service, and liked the ambiance. Chrisg4 tried it, liked it, and rated it . Chrisg4 liked the food, liked the service, and liked the ambiance. A dining patron from Phoenix, AZ tried it, liked it, and rated it . They liked the food, liked the service, and liked the ambiance. A Deli food lover from Denver, CO tried it. A dining patron from Denver, CO tried it, liked it, and rated it . They liked the food, liked the service, and liked the ambiance. A Deli chowhound from CO tried it. A Deli food lover from Chicago, IL tried it, liked it, and rated it . They liked the food, liked the service, and liked the ambiance. A Deli food lover from Chicago, IL tried it. 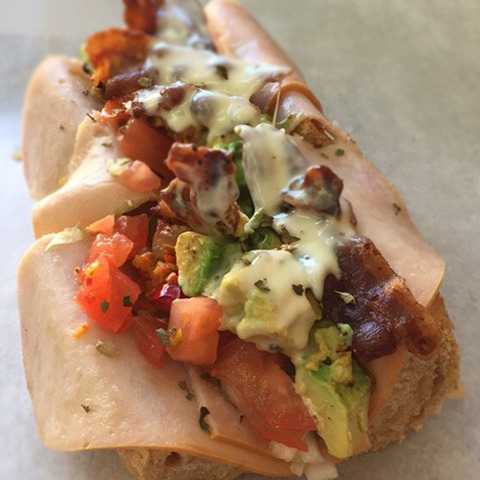 2 reviews of All-V's Sandwiches, first by jiitter. All V's Submarine Sandwich's - All Good! I just had my first Cheese Steak at All V’s, and it was just what I’ve been looking for since I came to Denver! It looks terrible, but the flavors are out of this world, and the portions are perfect! I asked the woman who made my sub if that was the only location in town, and with a shrug she said, “…yep, it’s the only one left.” I had to research this place. The old worn out signs on the building say things like, “If you’re looking for a healthy alternative to fast food….” It was puzzling. Come to find out the place has been there forever…way before Subway or Quizno’s. Bottom Line: If you’re looking for an all American lunch or dinner…look no further. I was torn between the Hot Pastrami and the Philly Cheese Steak. I went with the Cheese Steak, and it was no mi-steak…heh.The atmosphere is that of an old school diner, and you can just tell they would do anything to your sandwich you asked them to do. I’m looking very forward to my next visit. Maybe I’ll try the Hot Pastrami, but I’m having a hard time seeing anything but the cheese steak in my hand. I highly recommend trying All V’s, and if you’re looking for a challenge try finding a better sub at Subway, Quizno’s or any other quickie. Personally, I try to avoid the chains, and since this is the sole All V’s remaining…I don’t have to worry about abandoning my principals. Tons of steak and tons of cheese! They’ll put anything on it, and it tastes great! These dishes from the All-V's Sandwiches menu are contributed by Menuism users directly, as part of a restaurant review, or as part of a photo upload. Do you own All-V's Sandwiches? Contact us to connect with your diners. 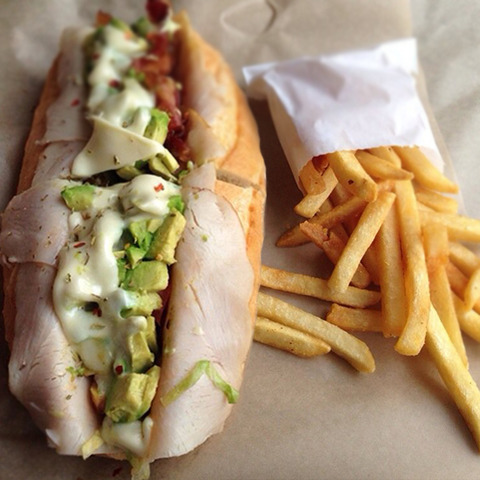 All-V's Sandwiches is located near the cities of Alamo Placita and Glendale. People found this by searching for: All V's, All V's Sandwiches, Al V's Sandwiches, All V's Denver, All V's Denver, All V;S Sandwiches, Reviews All V's Sandwiches, All V's Sandwiches, and All V's Menu.